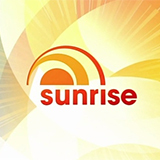 Sunrise is an Australian breakfast program written for television consisting of a mix of news updates every half hour, interviews and feature pieces of general interest, as well as coverages of major events such as, for example, the Commonwealth Games. 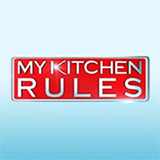 The program also offers city-specific news and traffic information for viewers from major Australian cities like Sydney, Melbourne and Adelaide. What sets Sunrise apart from many other news and current affairs programs is that viewers can respond to the stories covered by the show via Facebook, Twitter, email, SMS and telephone. The so-called ROSwall (Responses of Sunrisers) serves as a place where viewers can mention issues they would like to see reviewed or investigated. The pop star has announced her first Aussie tour in six years. It's Christmas food on the menu as we cook with Jamie Oliver. Is The Rock going to run for president? We find out. California deadly fires, Jamie Fox exclusive, and the latest news on Sunrise. We are searching for Australia's best Christmas lights. We chat to The Temptations, then we find out which carbs are actually healthy and all the latest entertainment news. Elton John in shock as his beloved mother passes away and all the secrets behind the best Christmas bargains this season. We interview James Franco from the upcoming film, The Disaster Artist. We learn how to become boost your Instagram. We chat to Pauly Fenech about the growing popularity of bogans and we meet come cute penguins. It's a star studded day on Sunrise as we chat to Vanessa Kirby from 'The Crown and Dan Stevens from the movie 'The Man Who Invented Christmas'. Today we recap the ARIAs, take a look at the preperations for the Gold Coast Commonwealth Games and we sit down with Rebel Wilson and Ruby Rose to chat about the upcoming Pitch Perfect 3. We checkout behind the scenes of The Grand Tour and weigh in on all the excitement behind global superstar, John Cena.